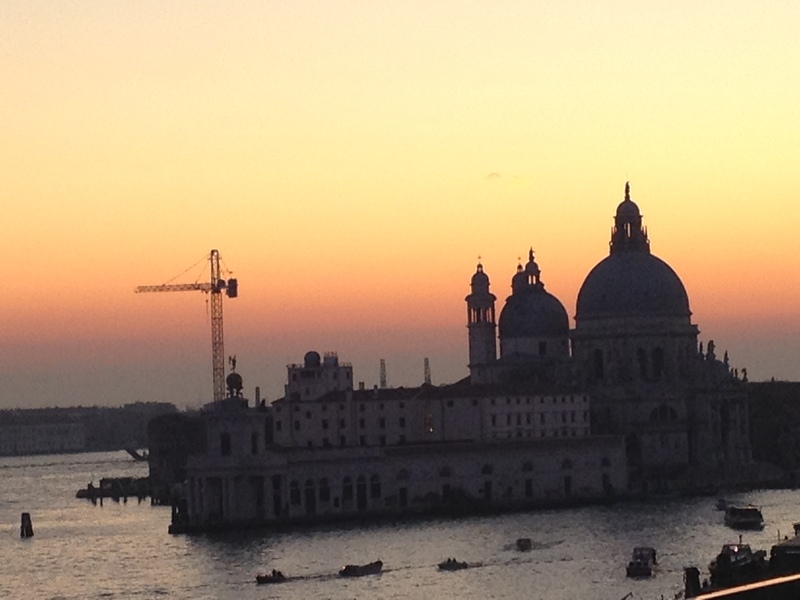 Venice was the last stop on my week in Italy. 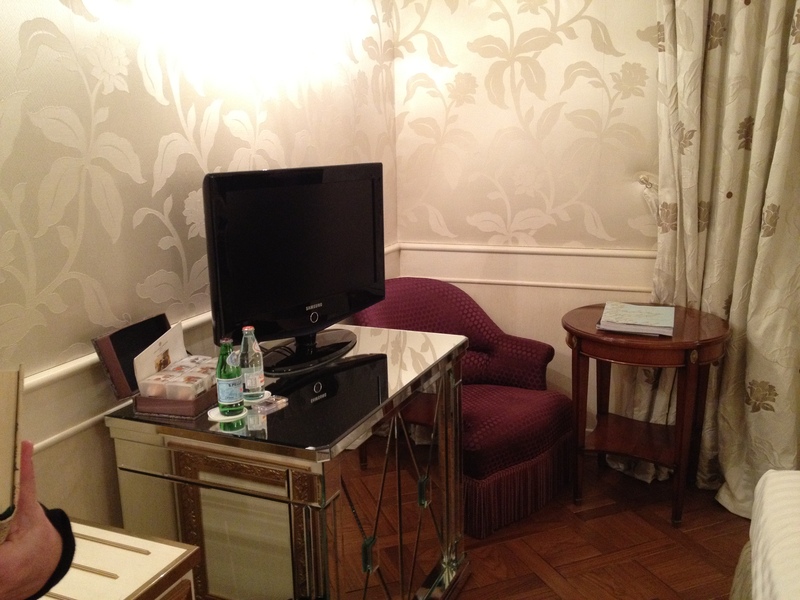 I took the train from Florence and was seated in first class seats for about a two hour trip. 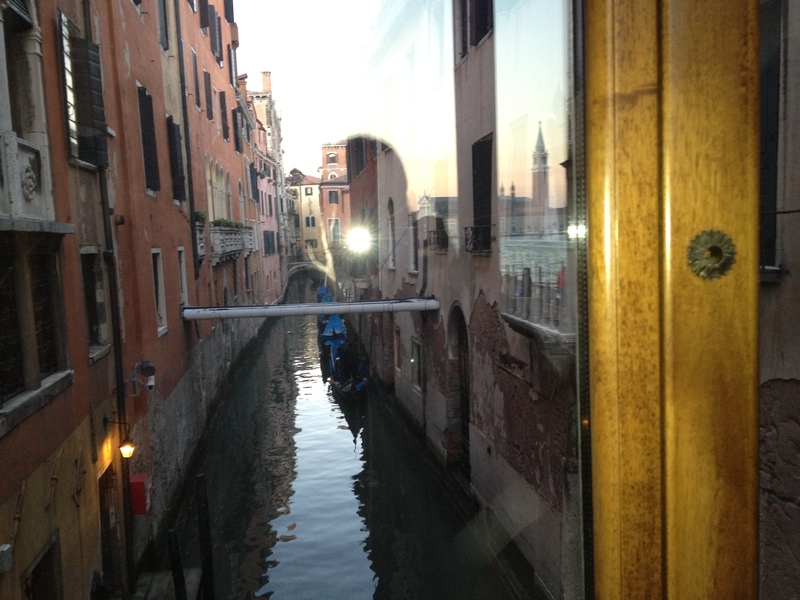 The train ride was a simple process and comfortable way to travel. 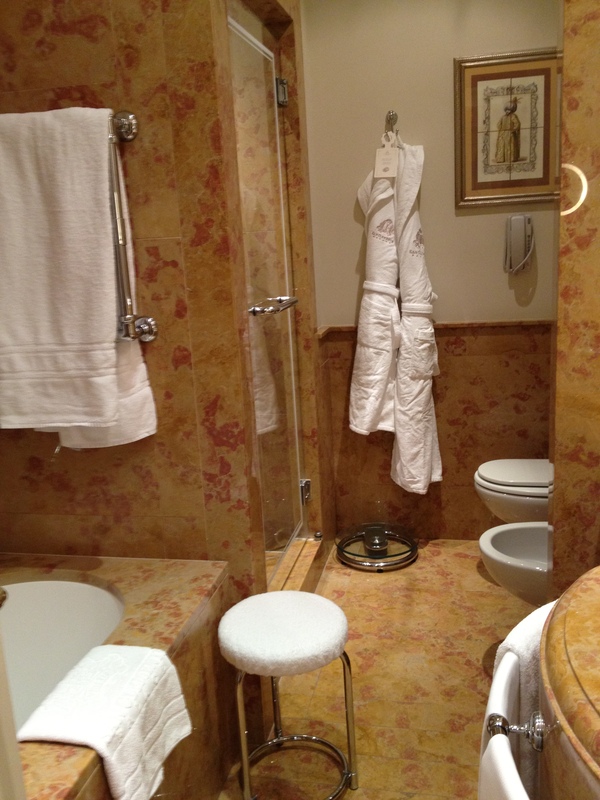 If you are traveling without a group I recommend adding services so you can have help with your luggage getting onto the train. 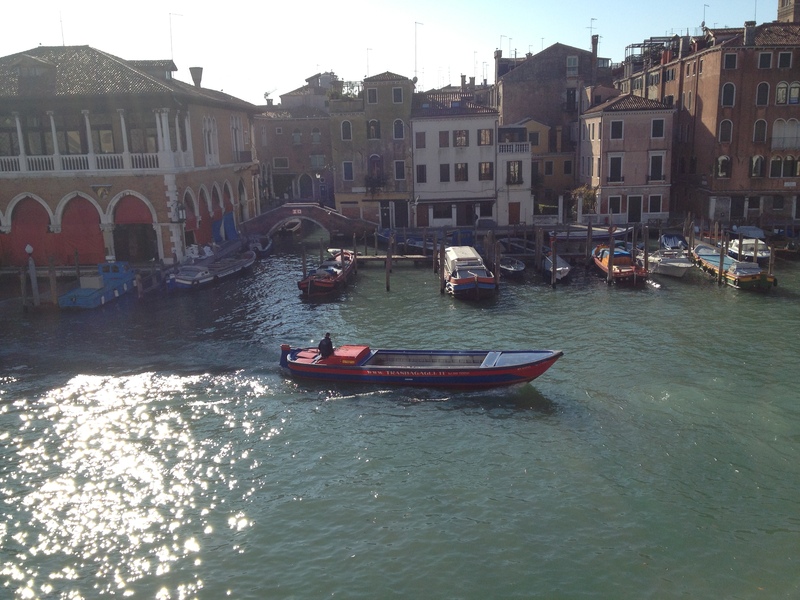 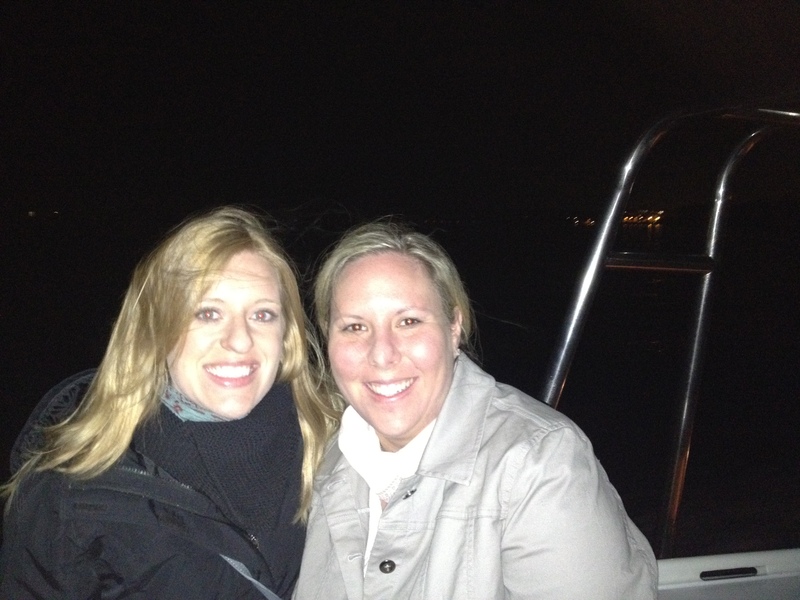 When I arrived in Venice I was met by my guide and taken to the private water taxi. 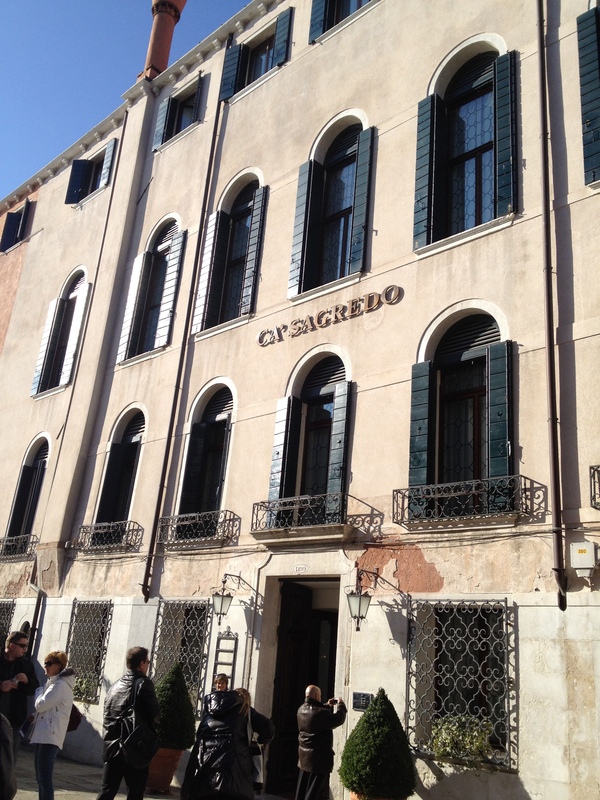 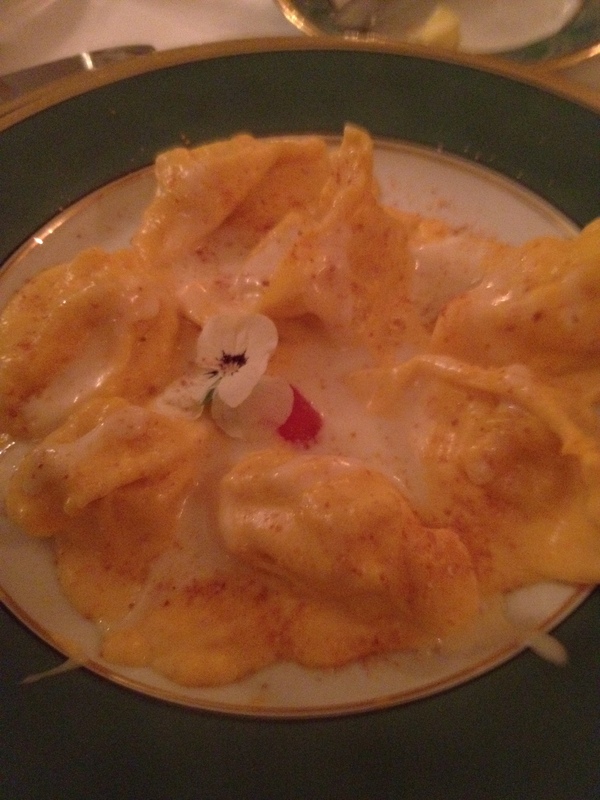 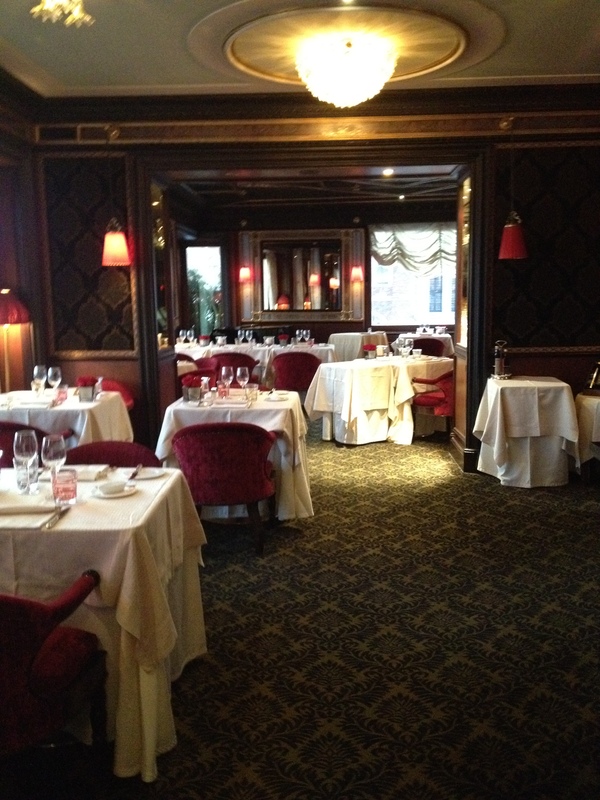 Ca’Sagredo– One of my two favorites in Venice the Ca’Sagrego is located close to St. Marks Square. 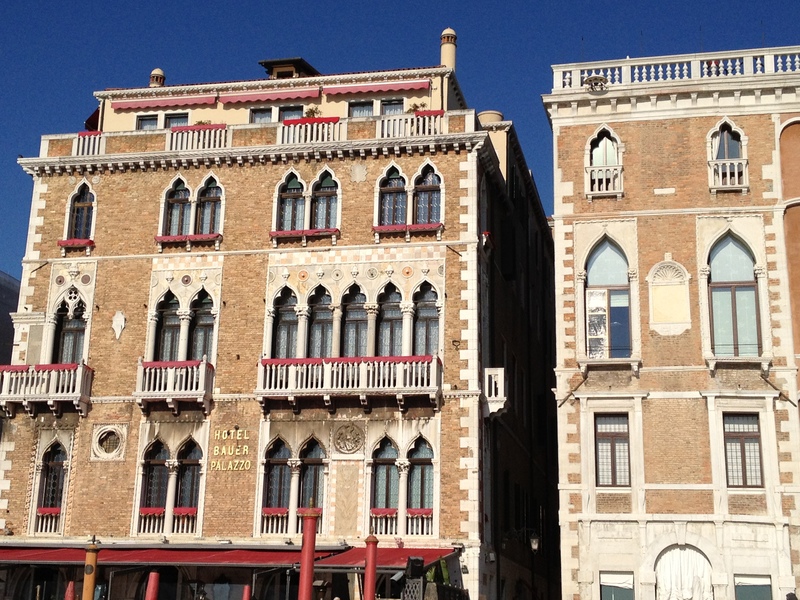 This museum of a hotel is in a great location for shopping and is located directly across from a market. 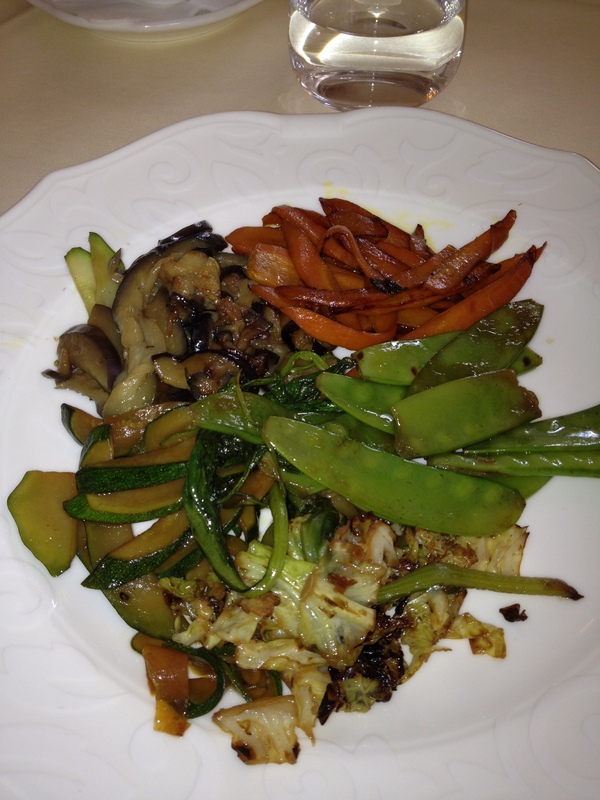 On Saturdays the chef takes small groups of guests to the market. 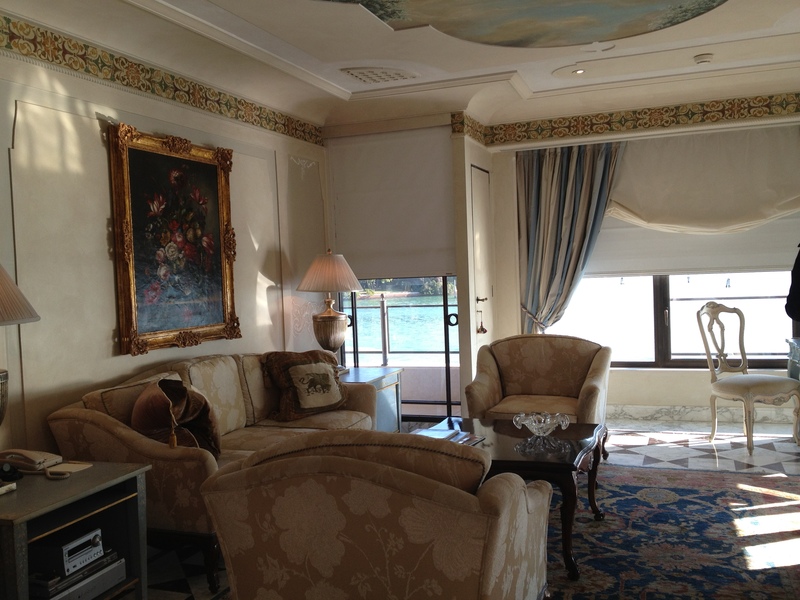 The Cipriani was closed at the time of our visit being that it was in November but never the less we got a good feel of why this is such a top selling property. 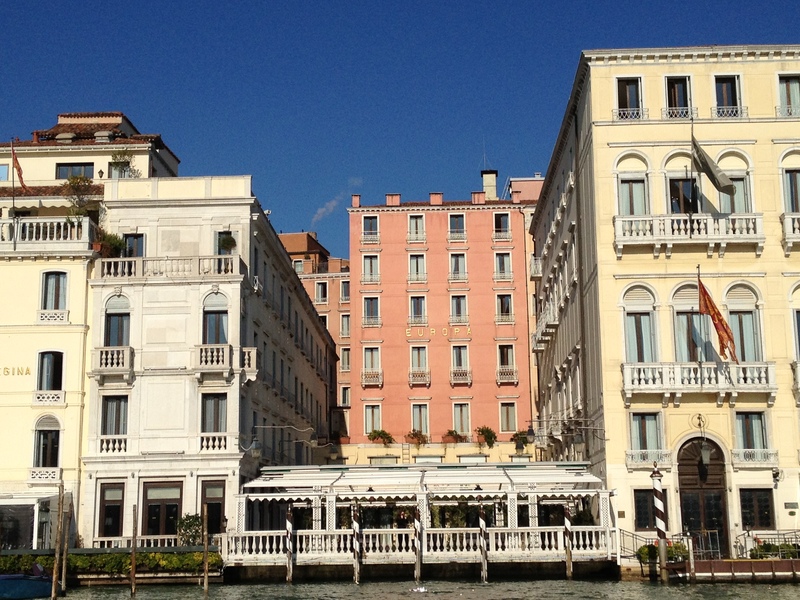 Bauer II Palazzo- Located right next to the Danieli the Bauer is often selected by many of the luxury cruiselines as a pre-hotel. 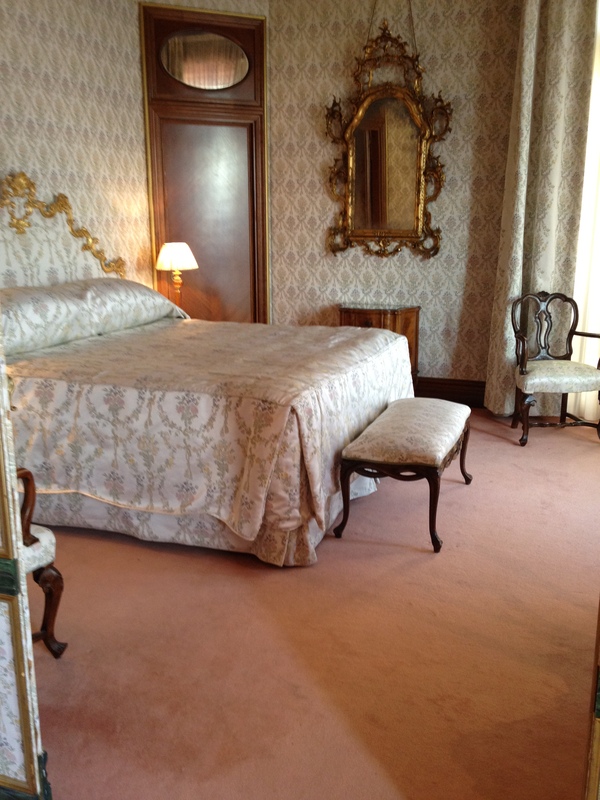 Londra Palace– If you don’t want the price tag of the Danieli but like the location on the Grand Canal the Londra Palace is an excellent choice right next door. 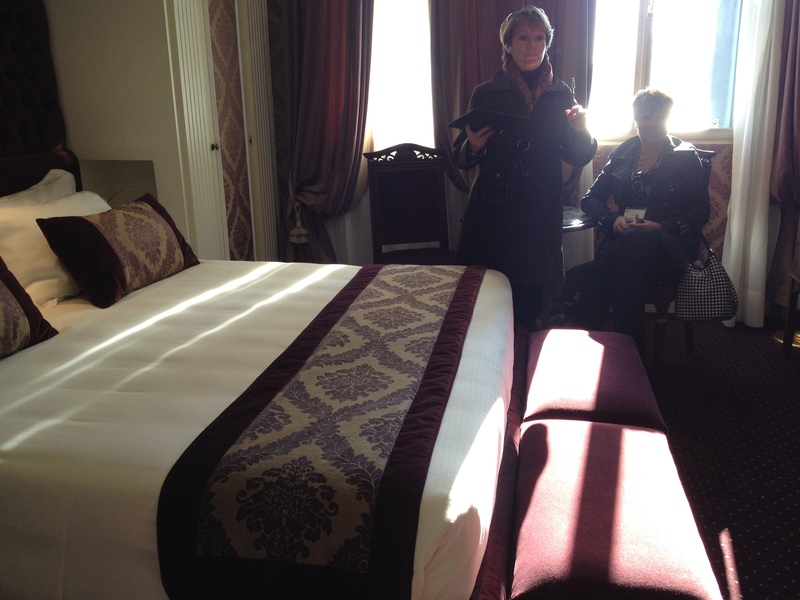 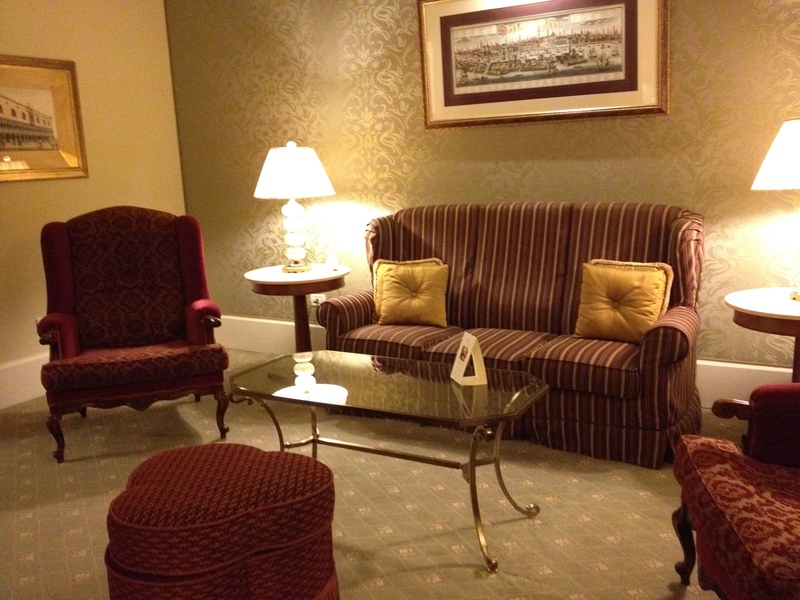 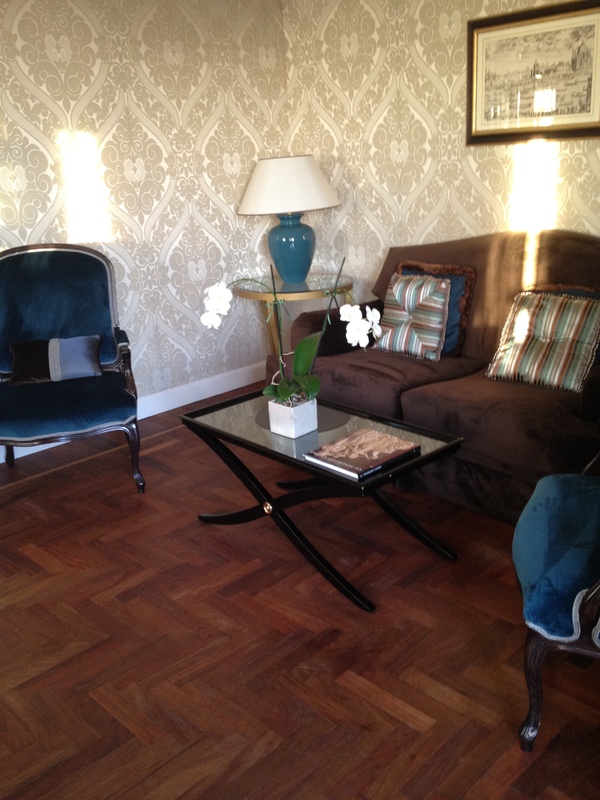 Just finishing a huge renovation while we were visiting the rooms look fantastic. 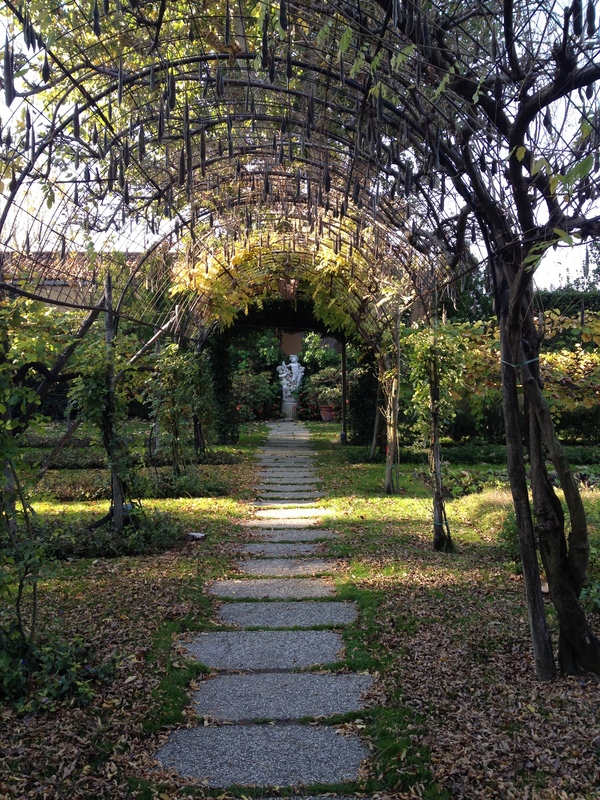 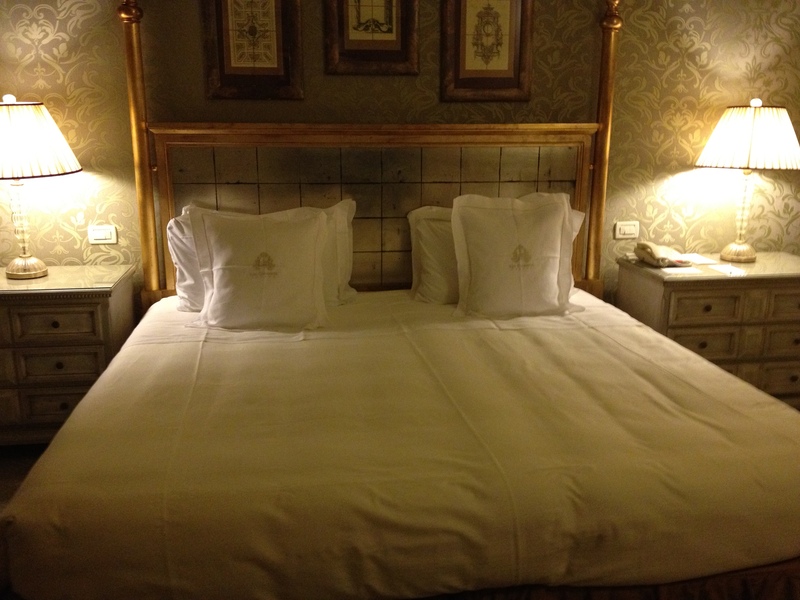 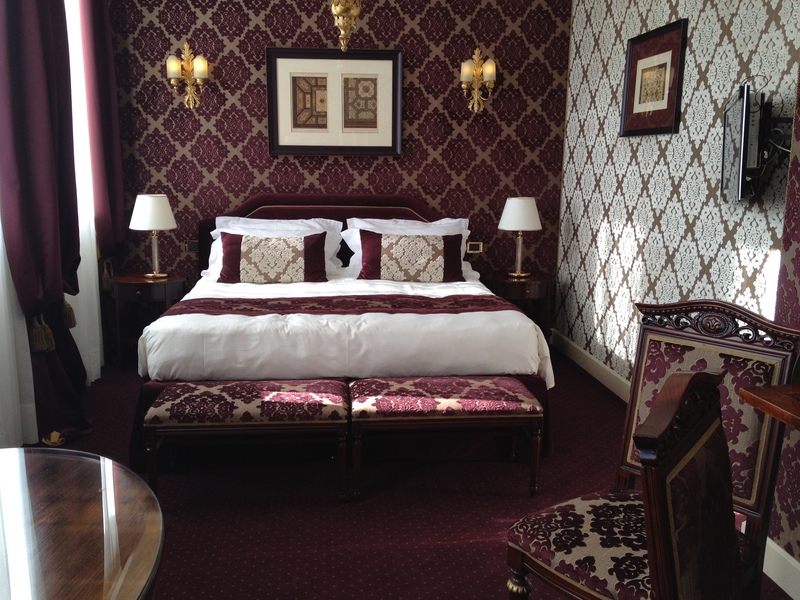 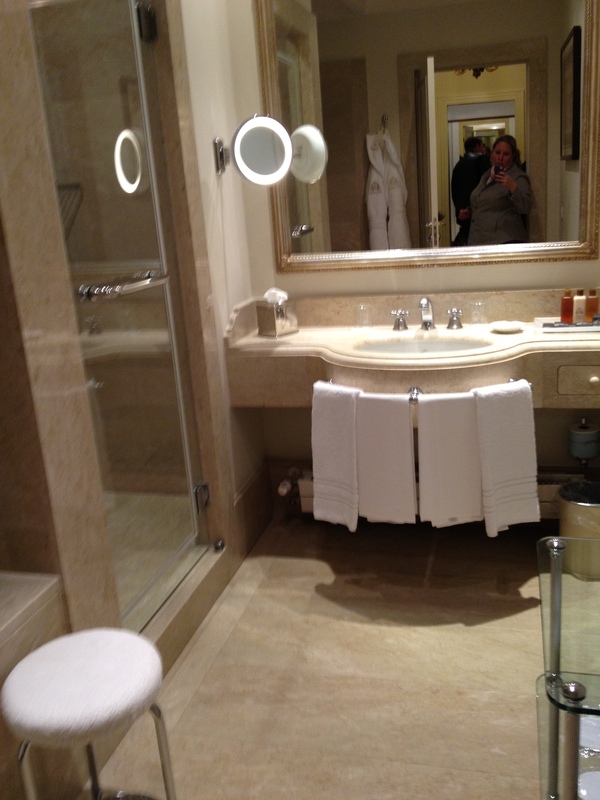 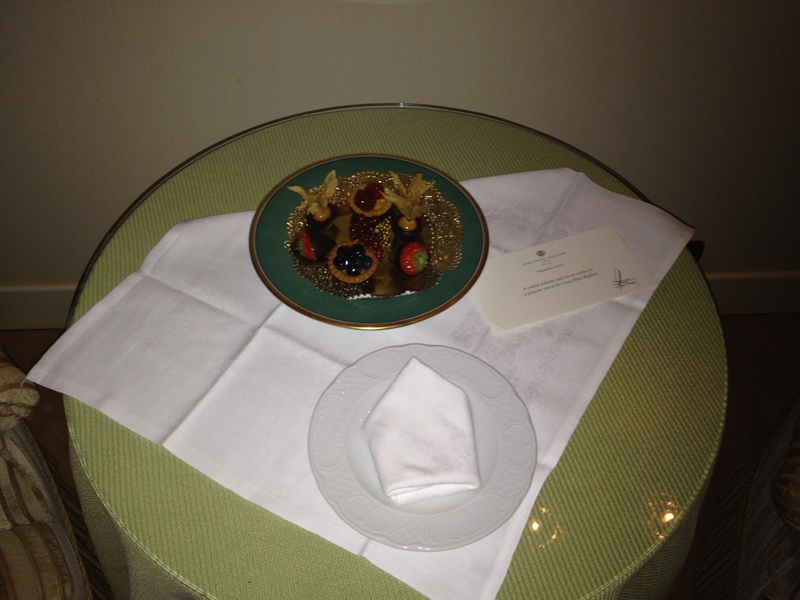 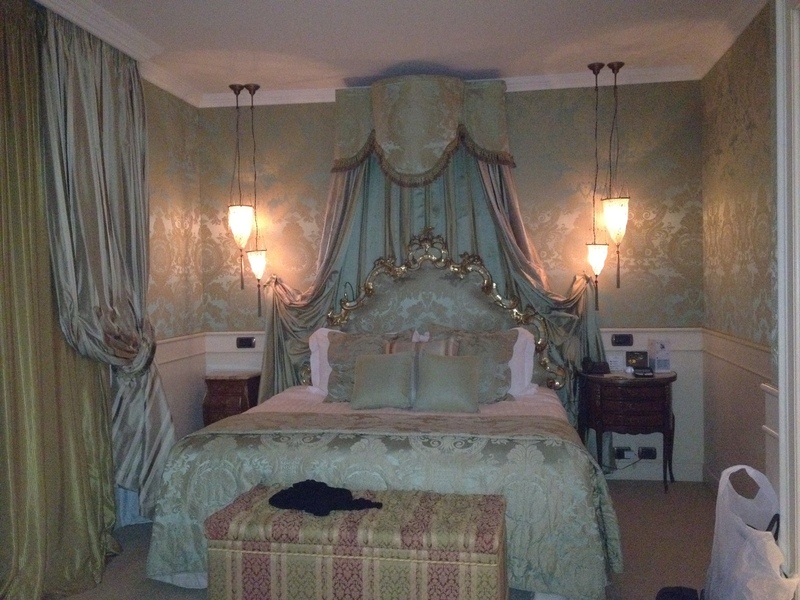 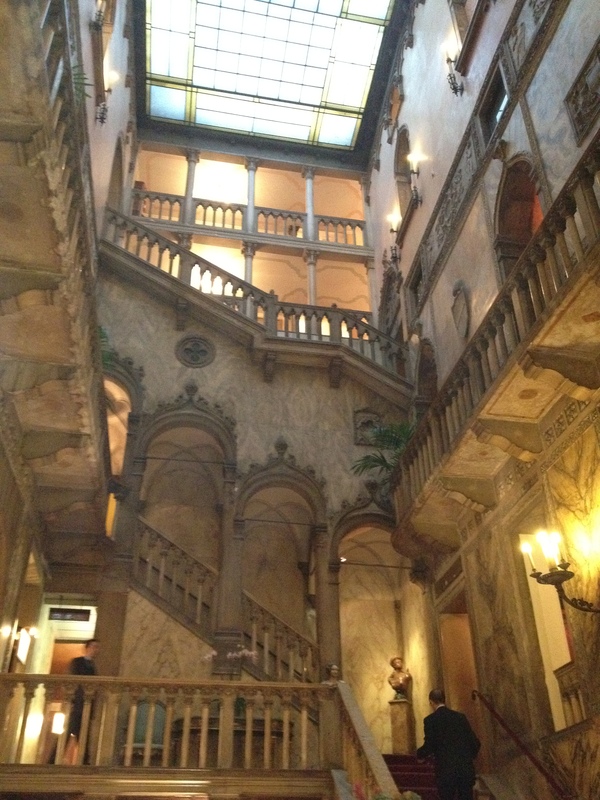 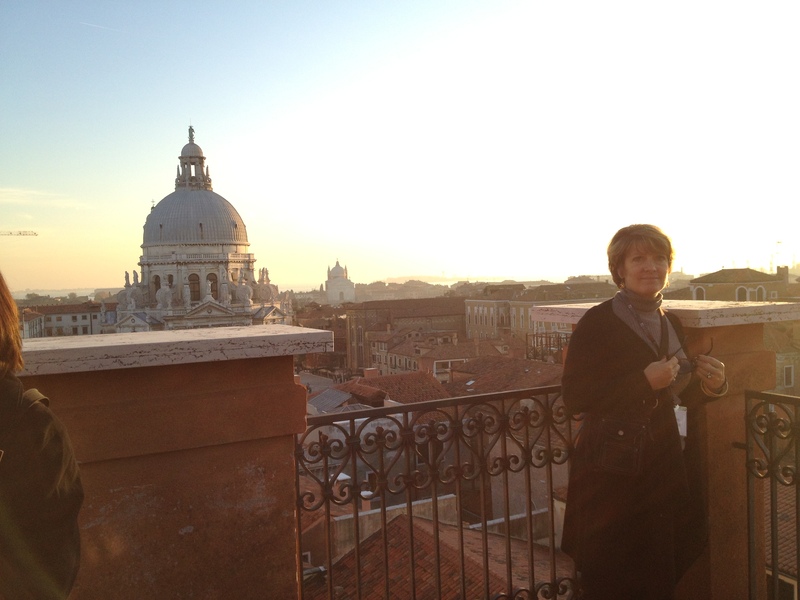 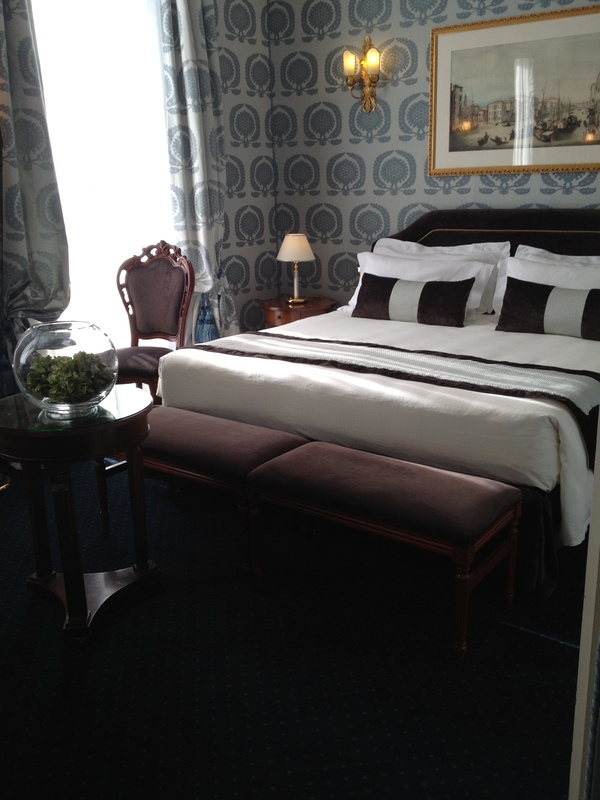 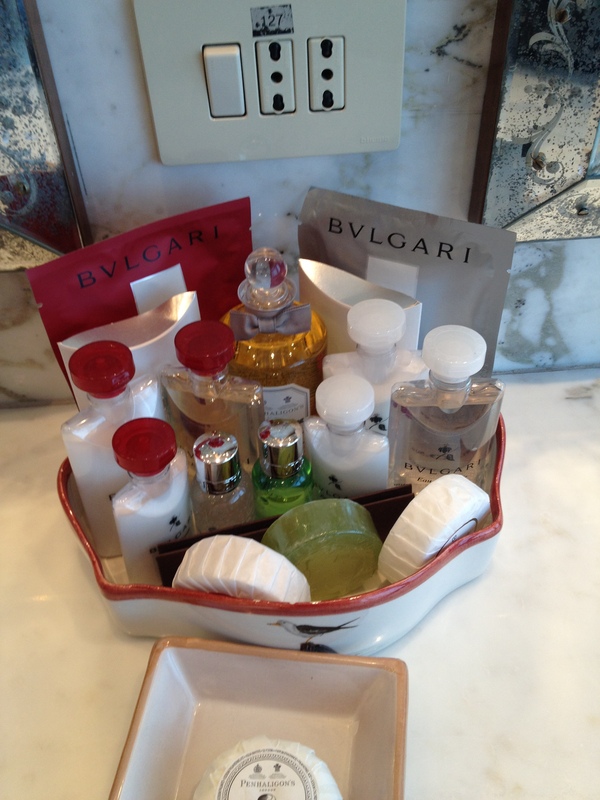 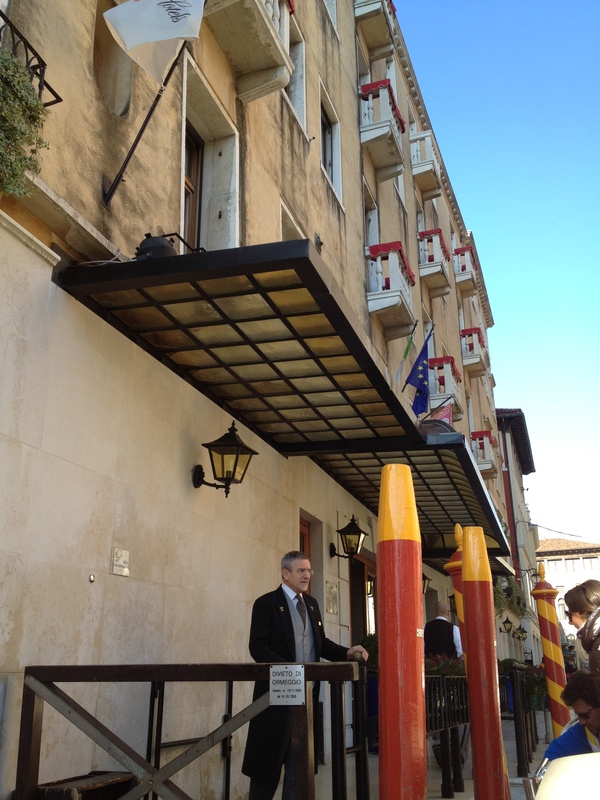 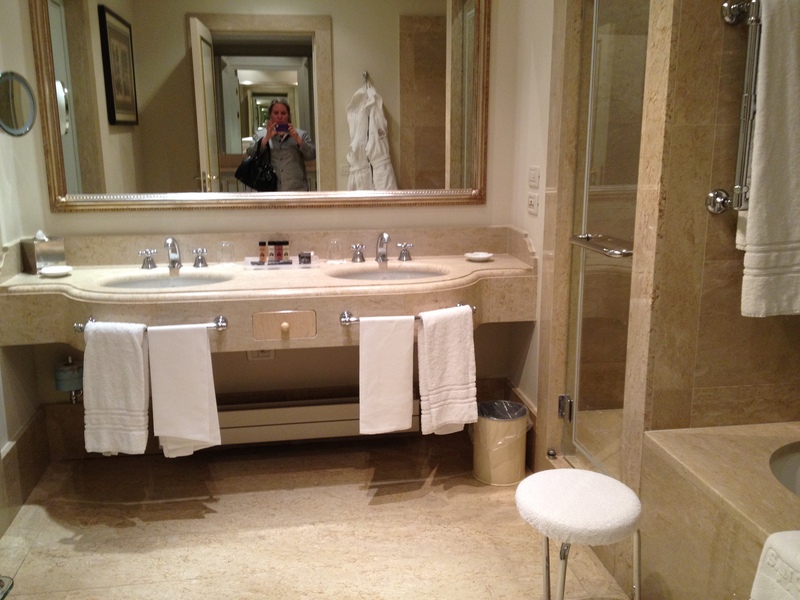 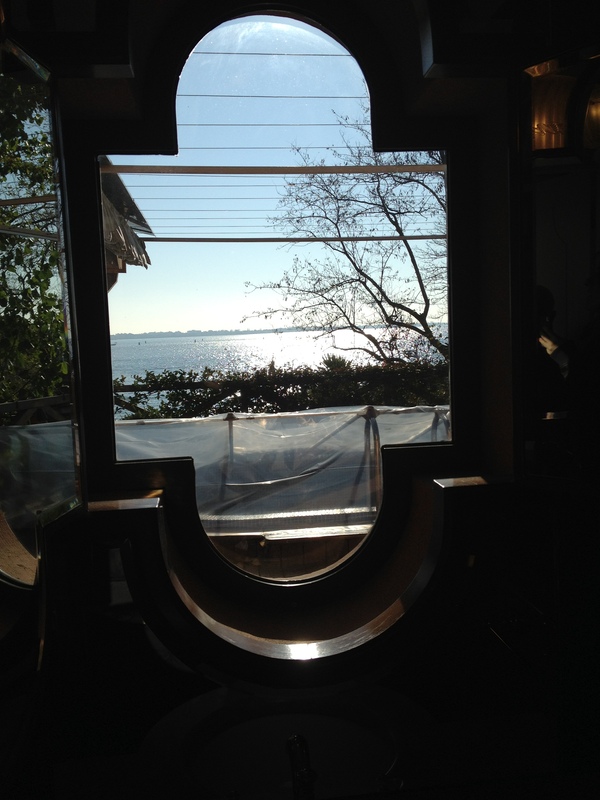 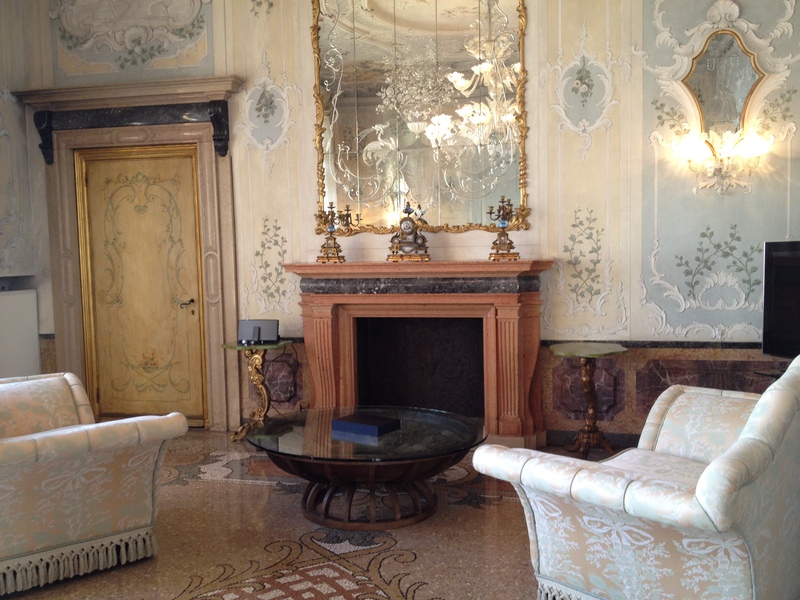 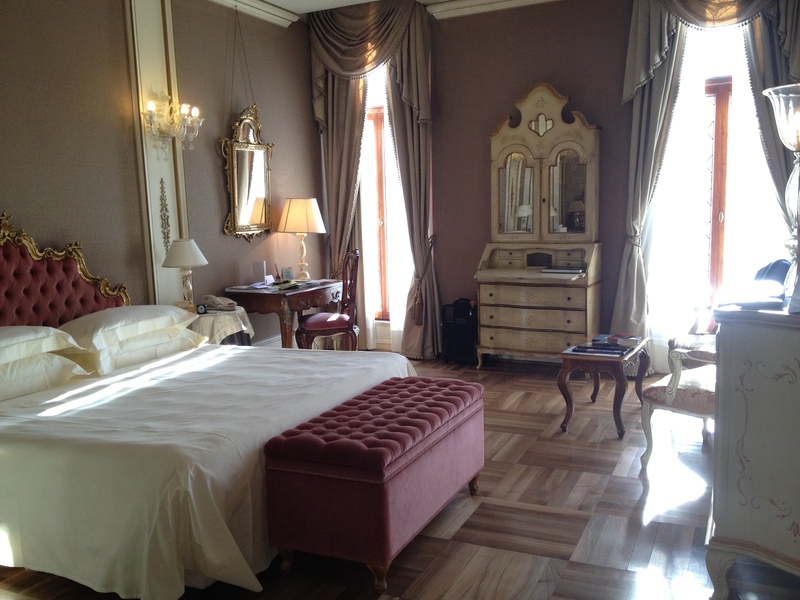 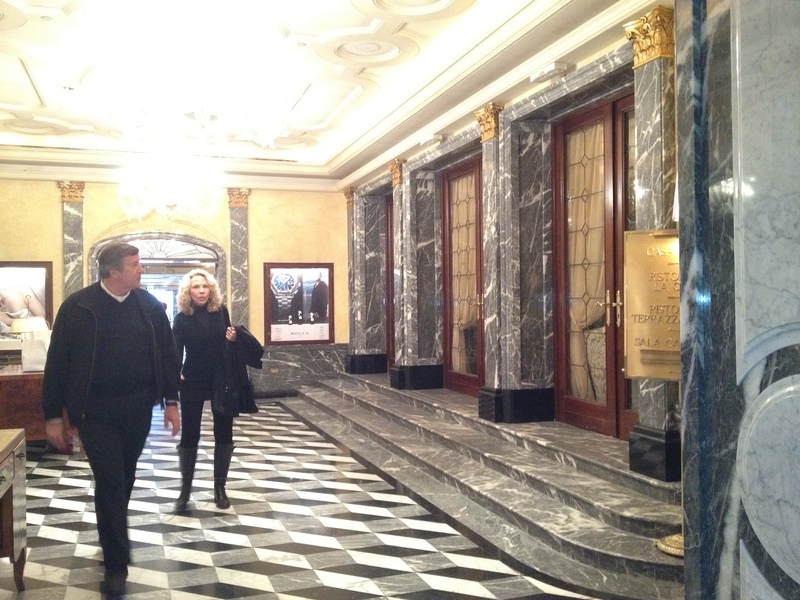 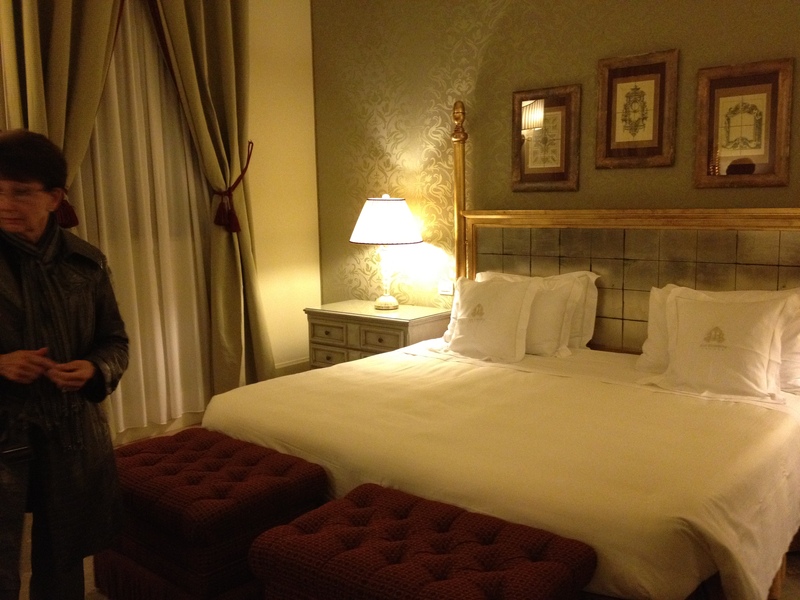 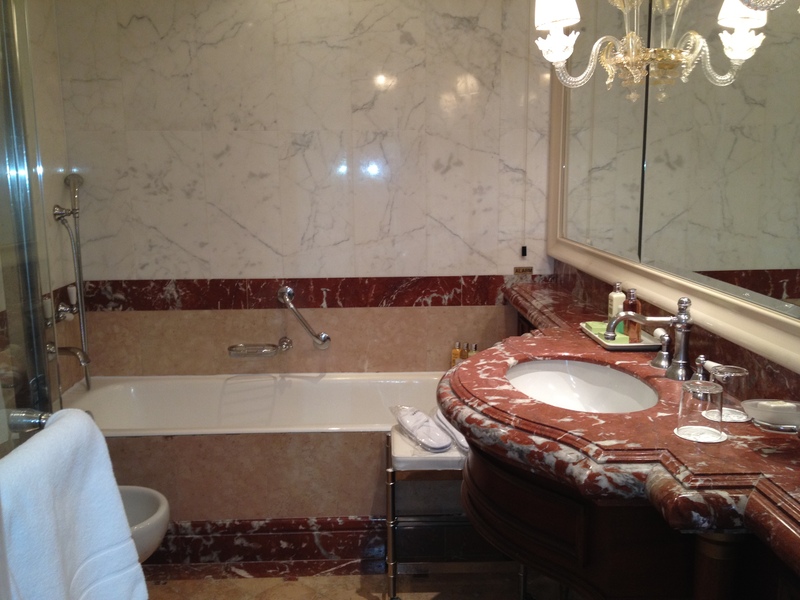 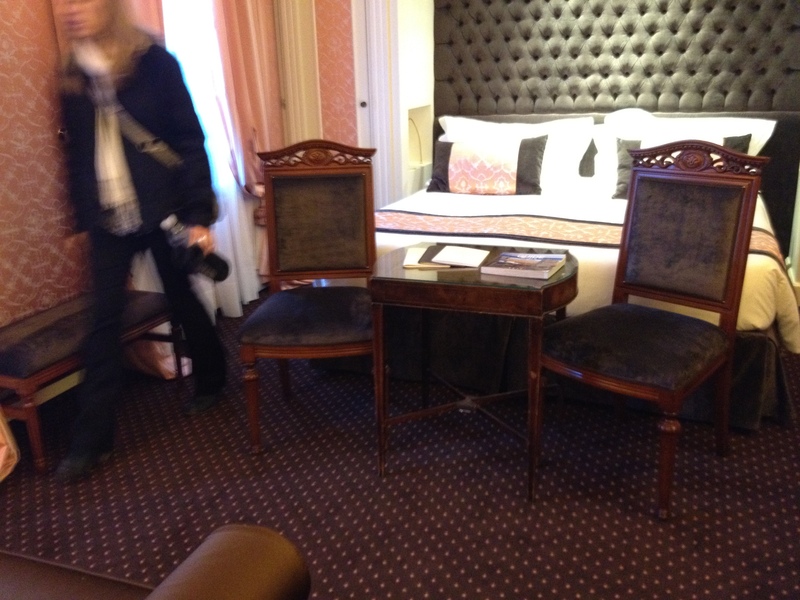 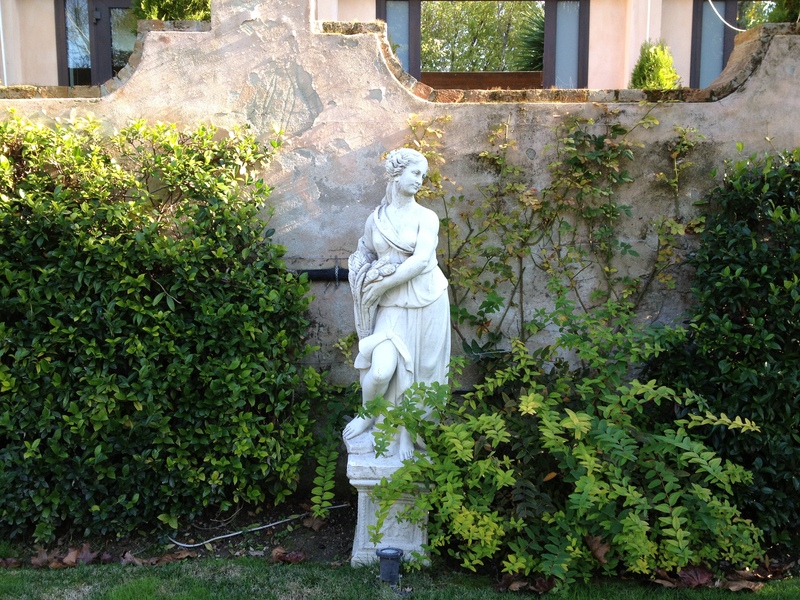 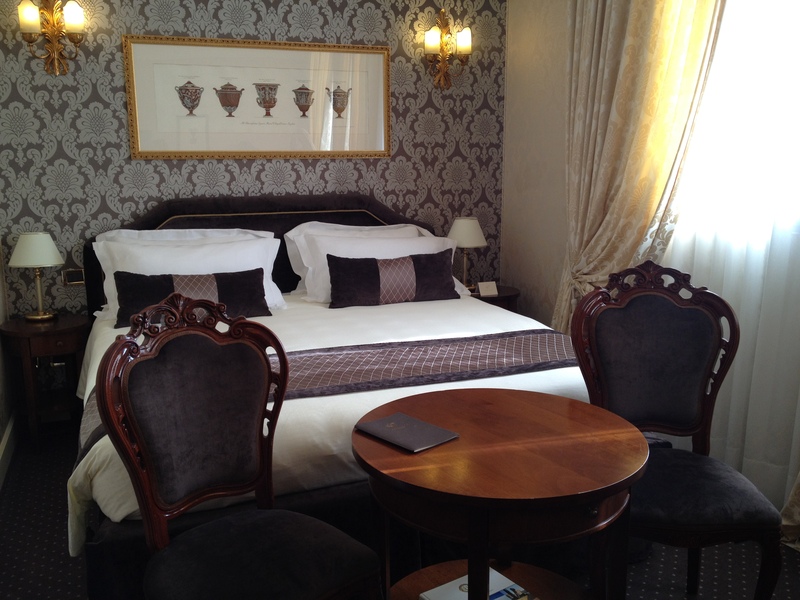 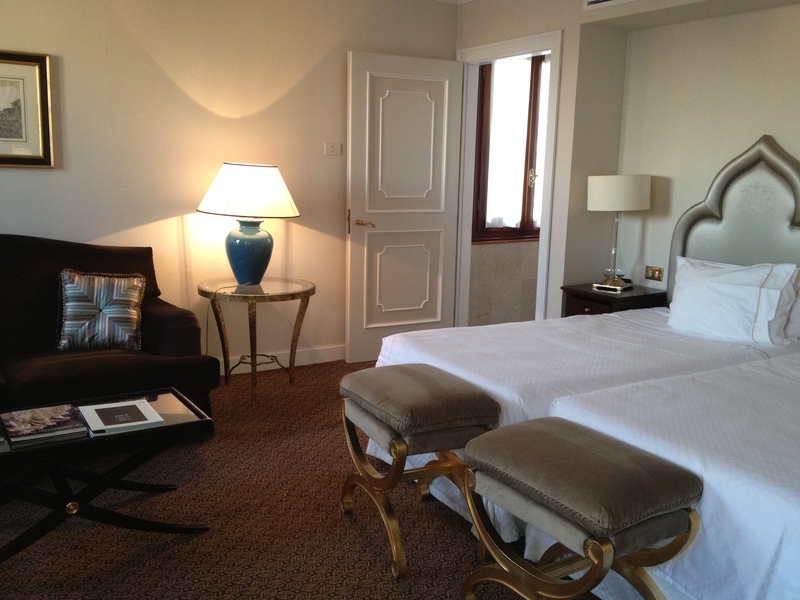 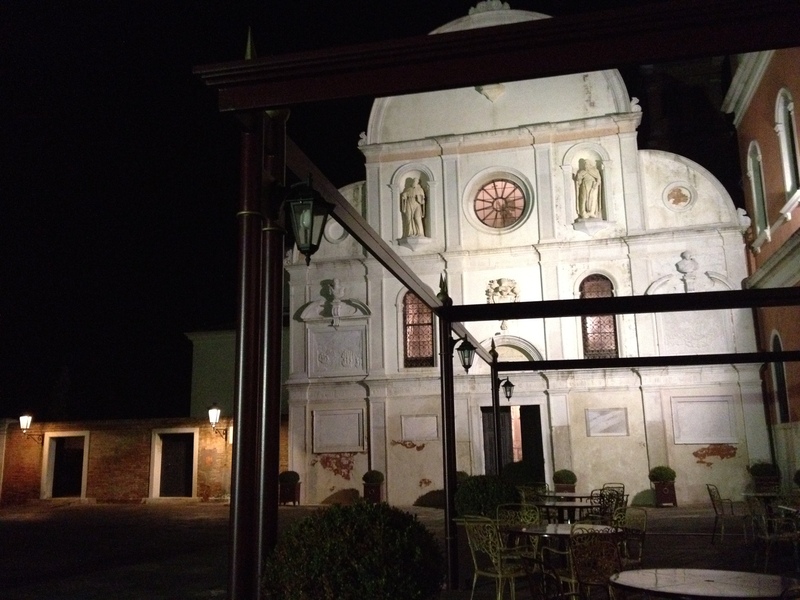 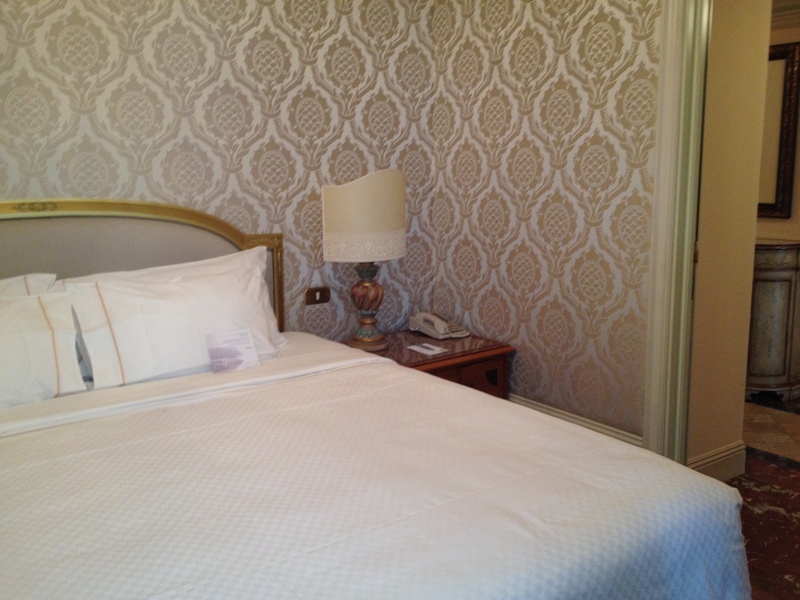 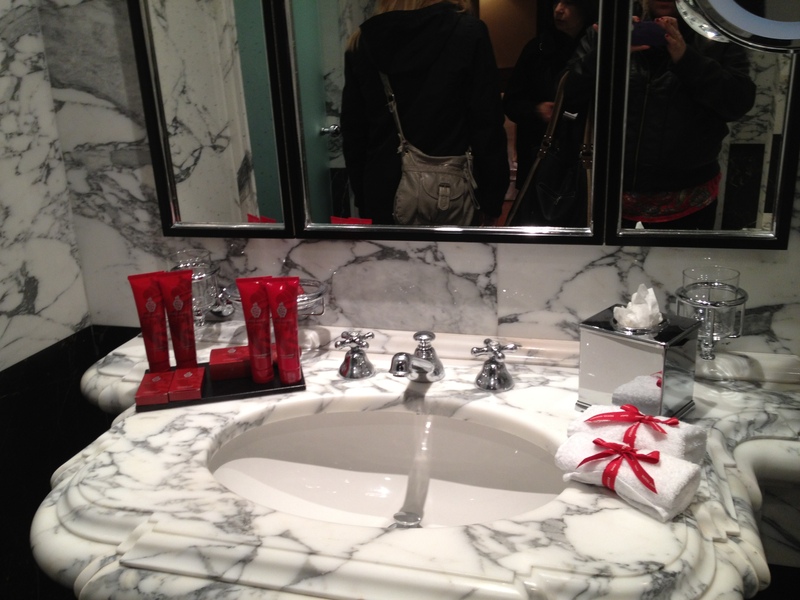 Luna Baglioni– My home for three nights while in Venice. 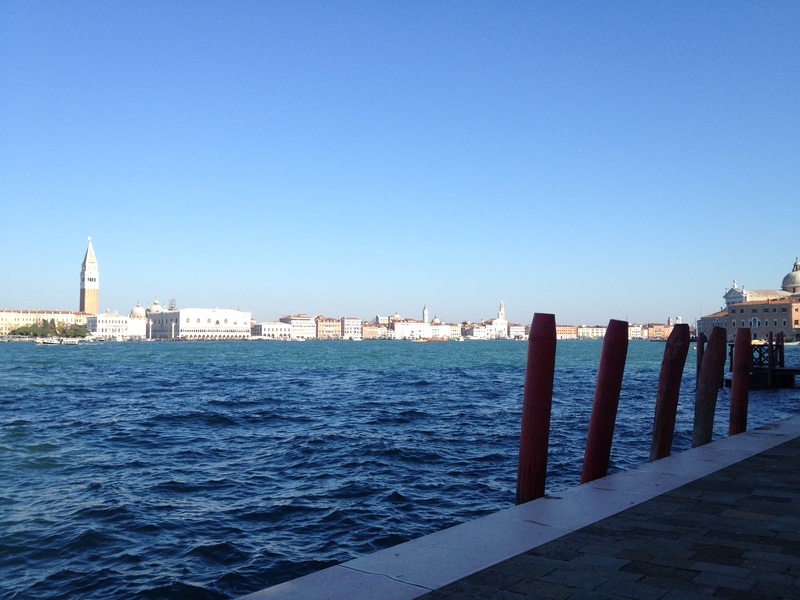 This was one of my favorites in Venice. 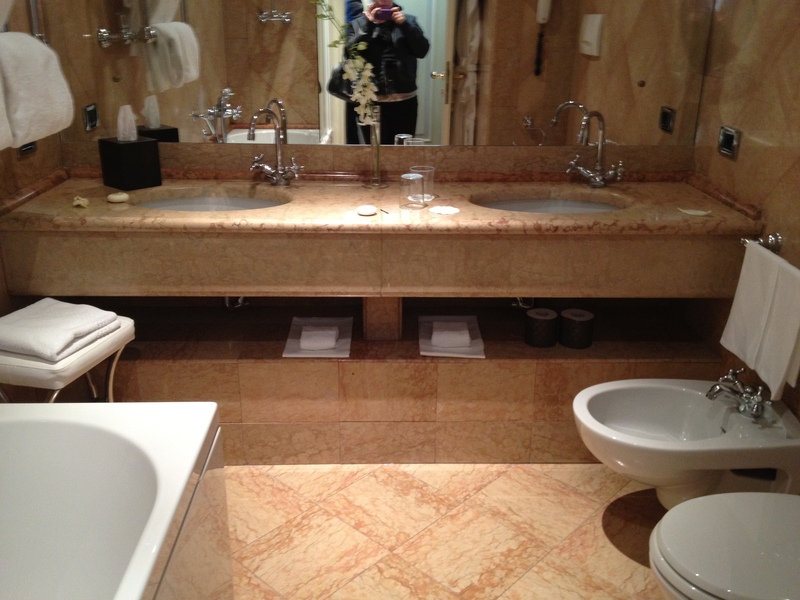 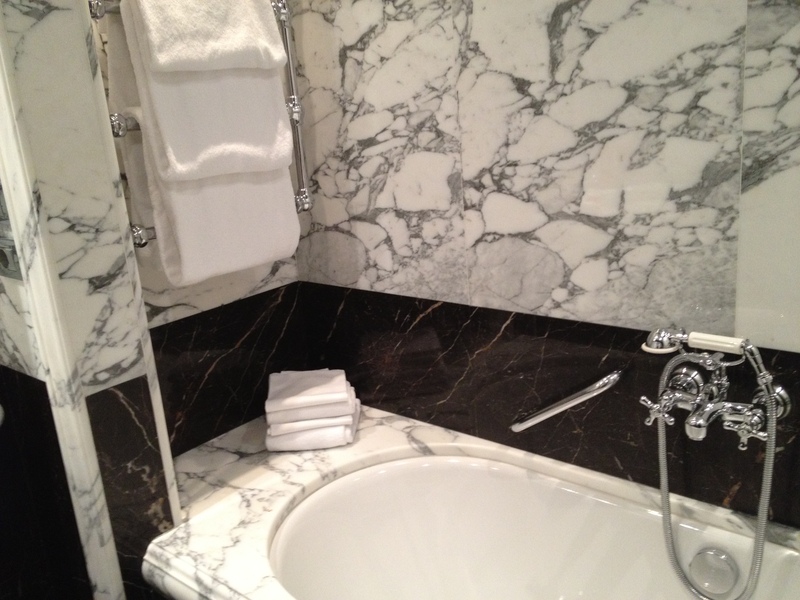 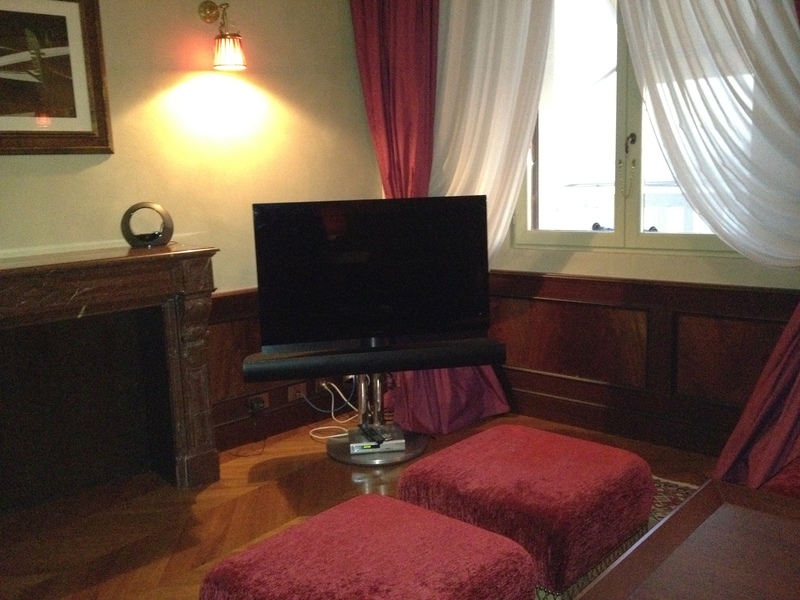 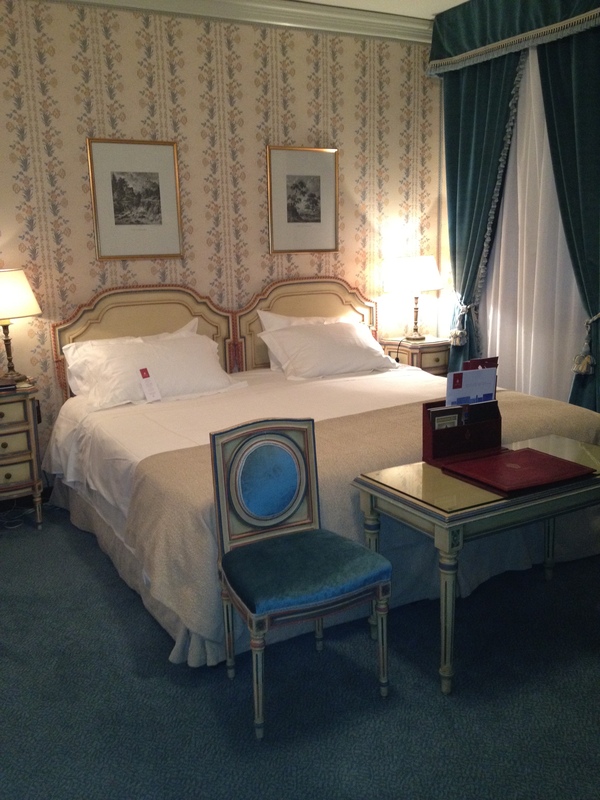 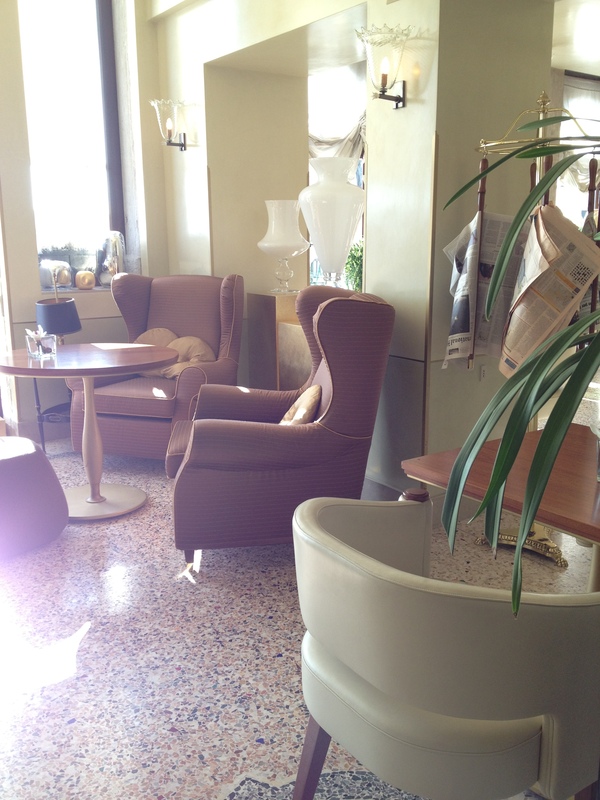 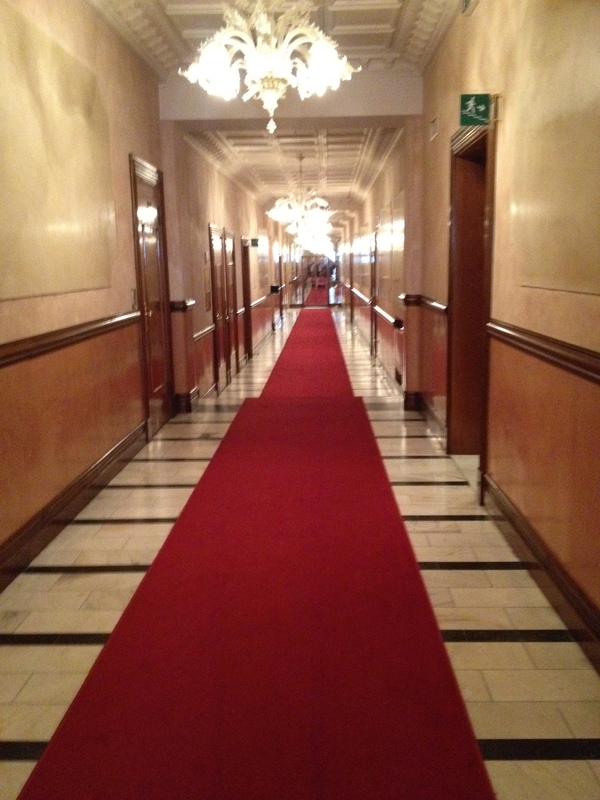 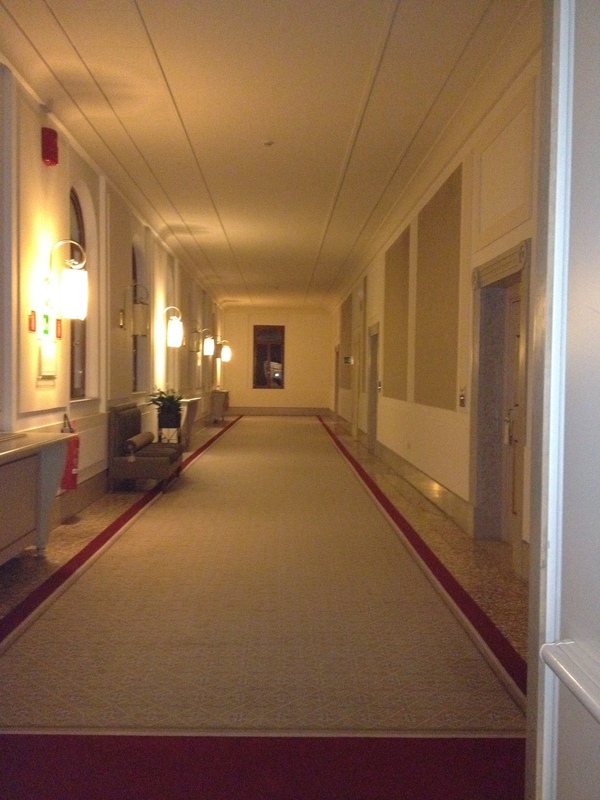 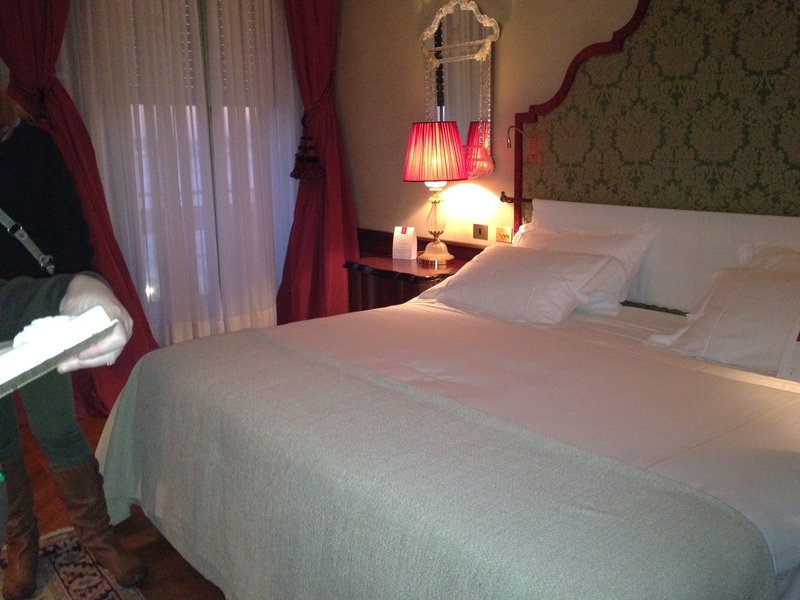 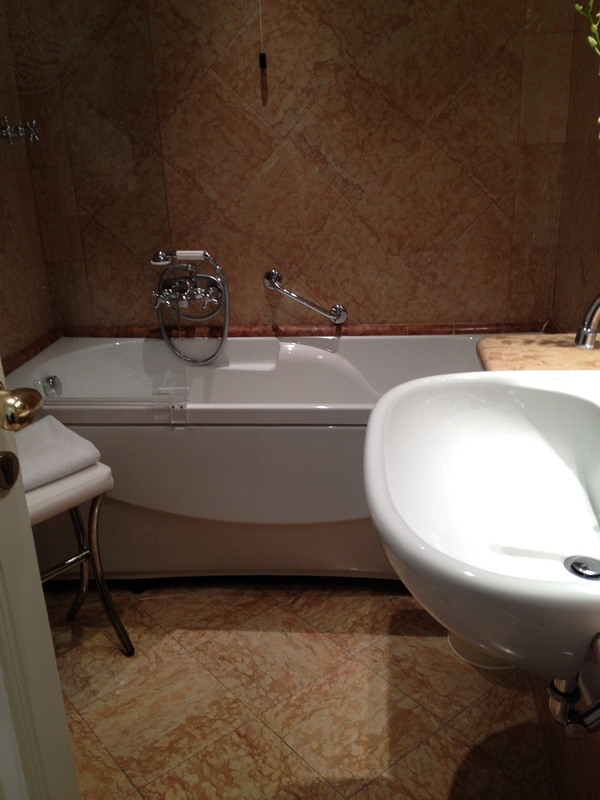 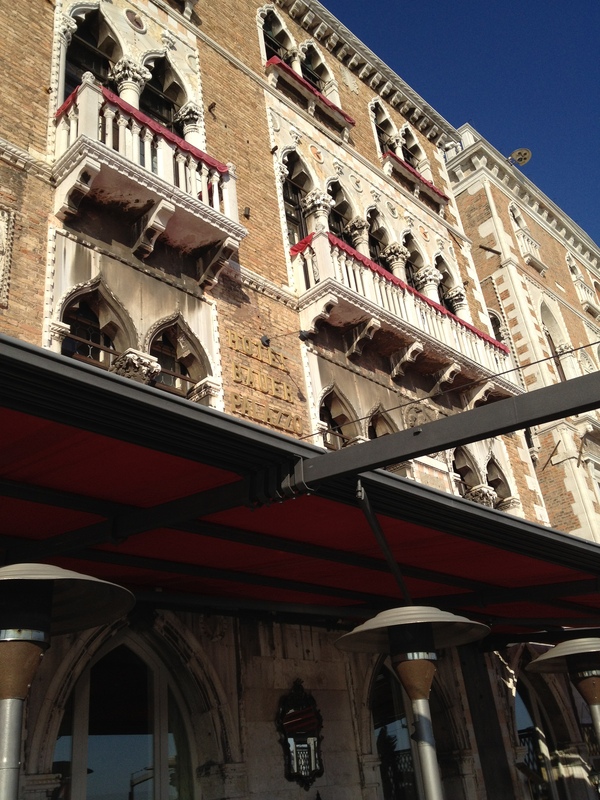 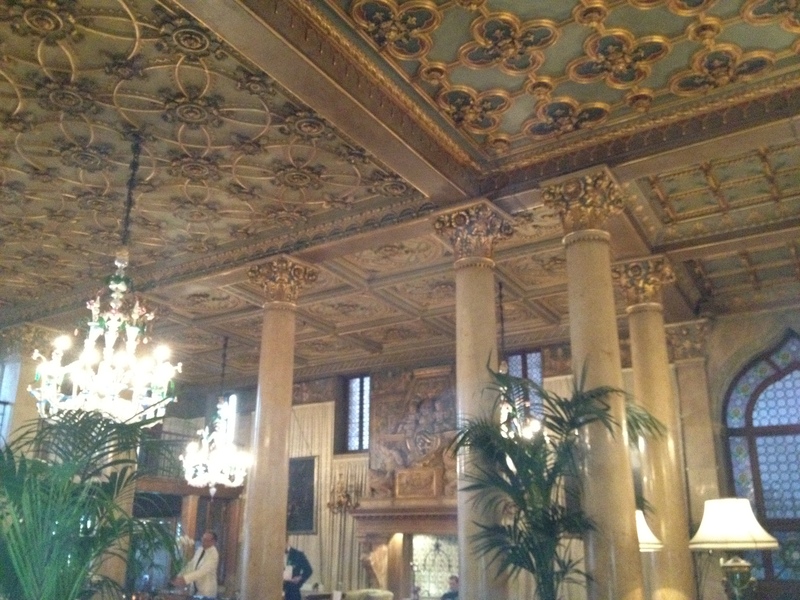 The Luna is an aristocratic venetian palace located very close to St. Marks Square. 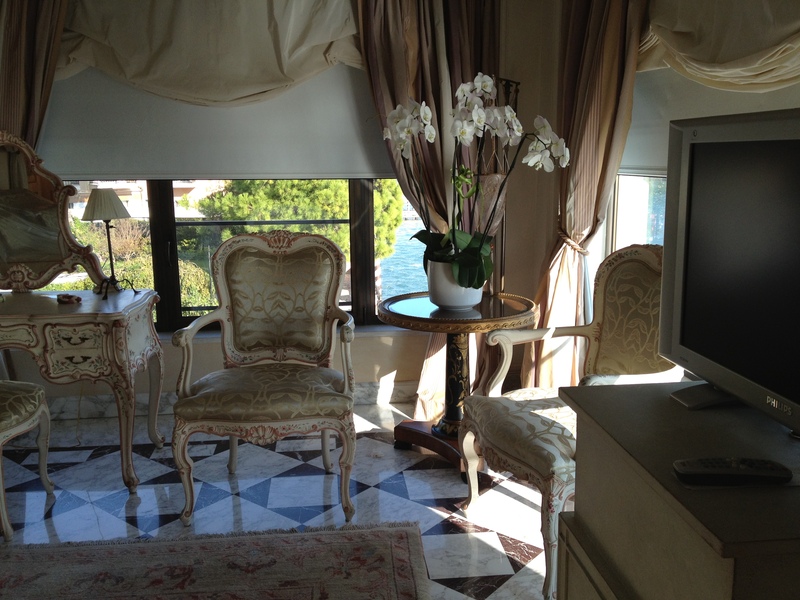 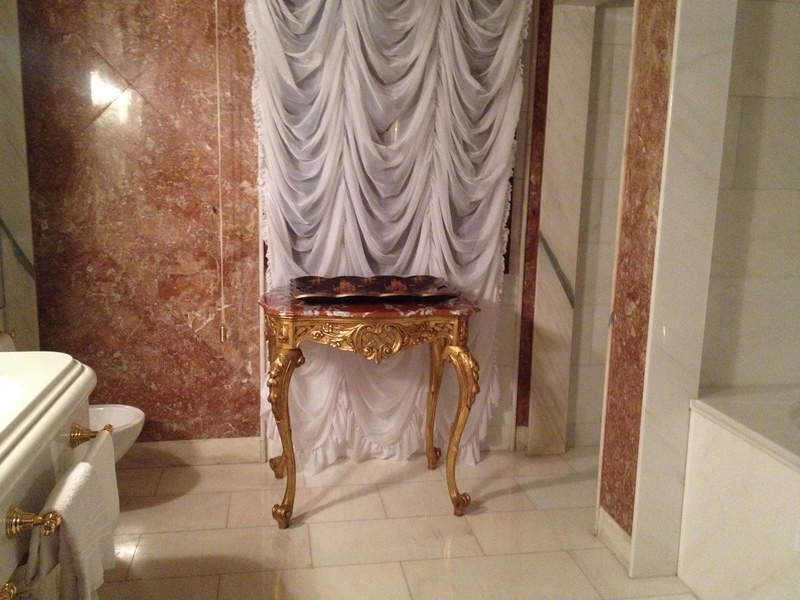 Rooms are Venetian style and very elegant. 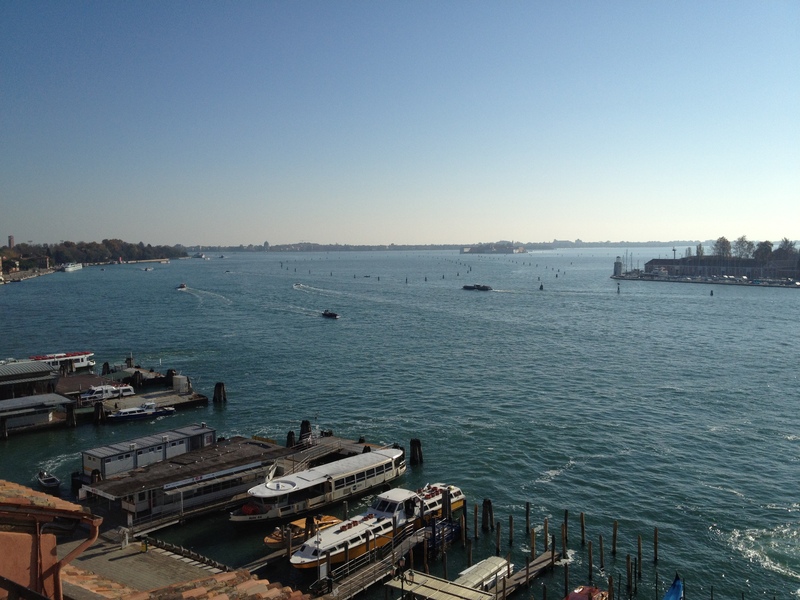 San Clemente Palace– An old Monastery on an island the San Clemente Palace is a 20 minute ferry away. 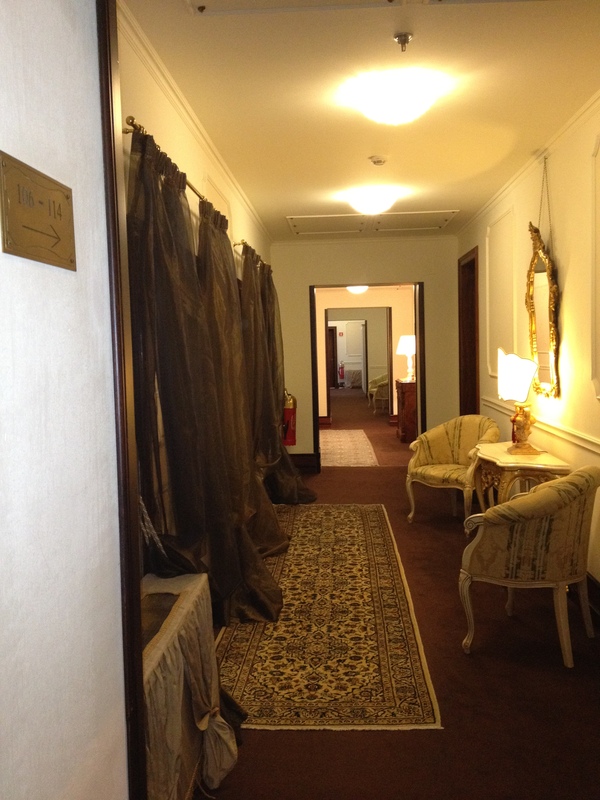 This hotel is a great option for families as there are many activities to do such as tennis, gold and swimming. 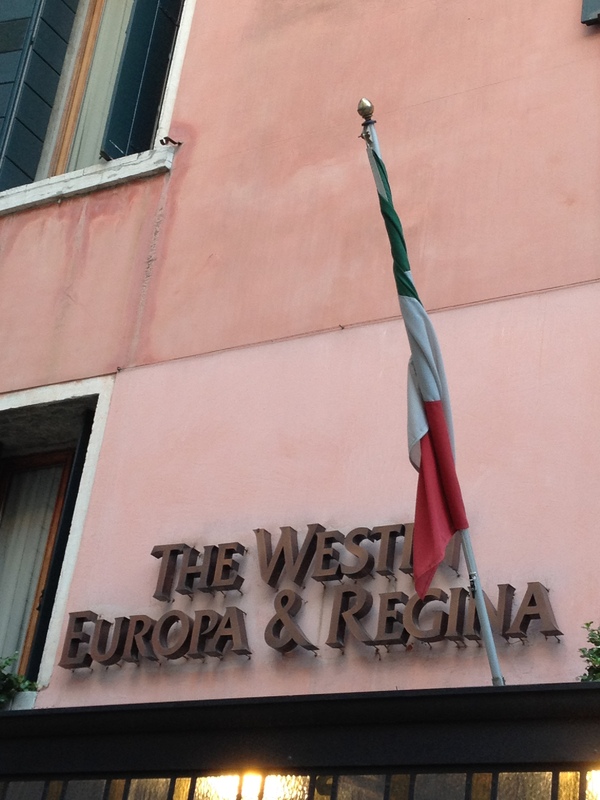 Europa and Regina– Also located right near St. Marks the Europa and Regina is a popular option in Venice although I would prefer the Londra Palace. 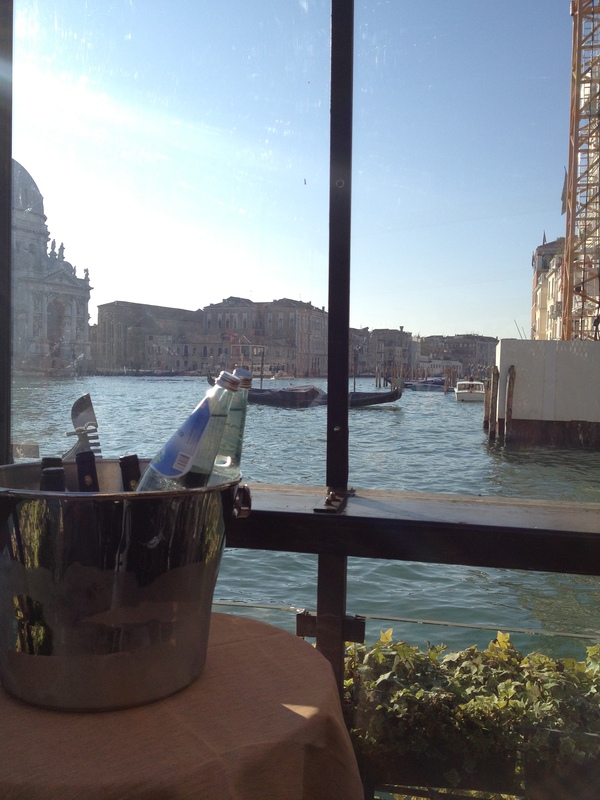 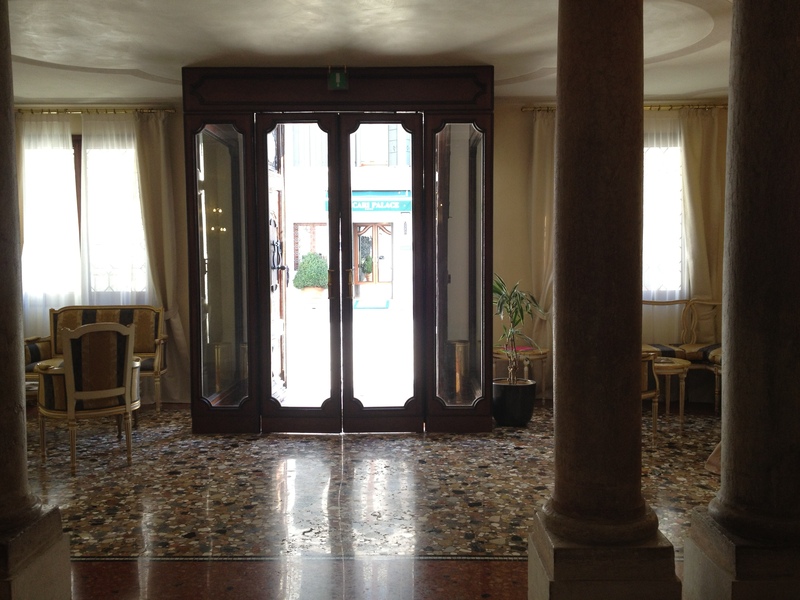 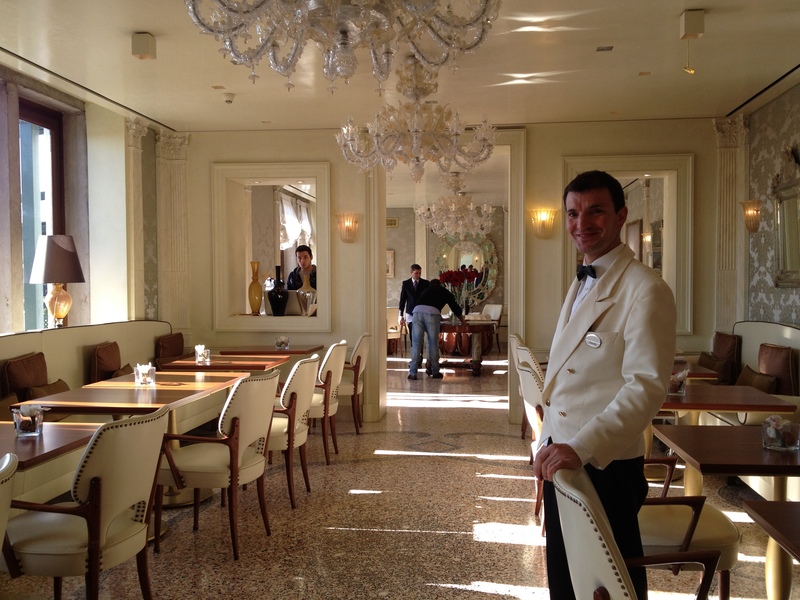 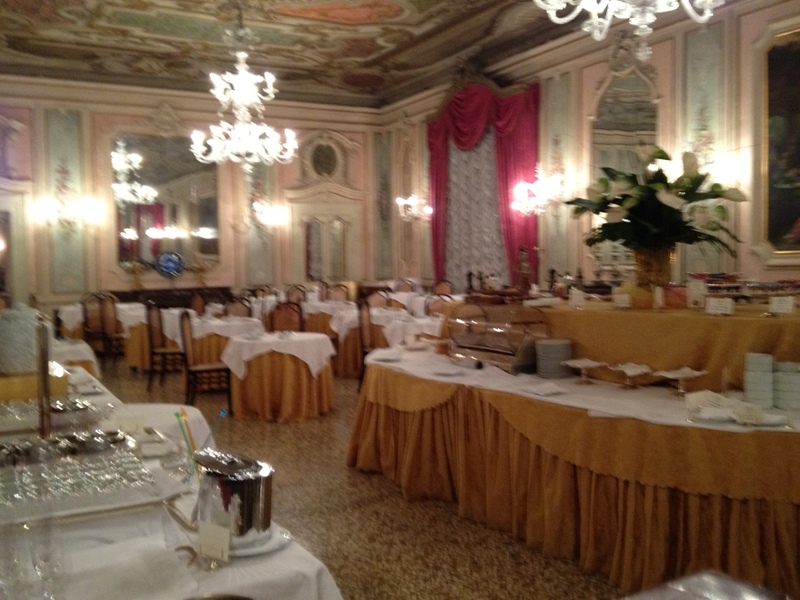 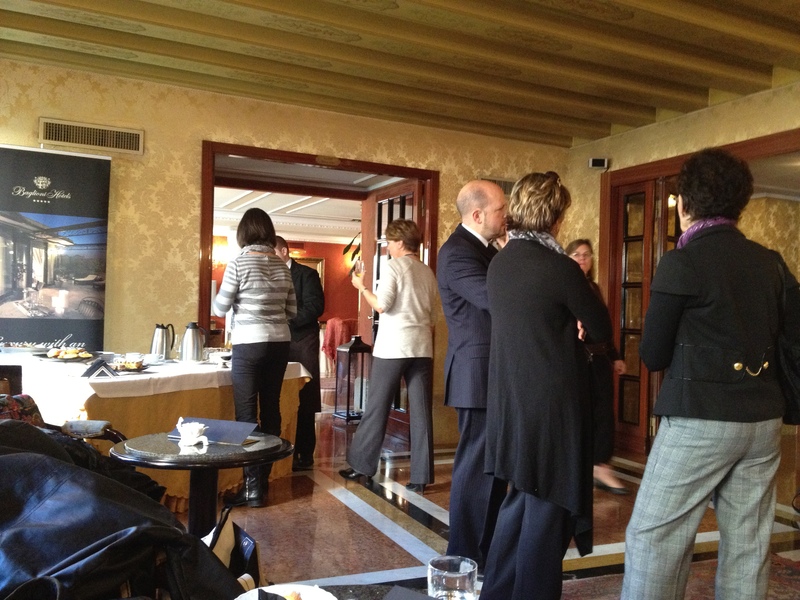 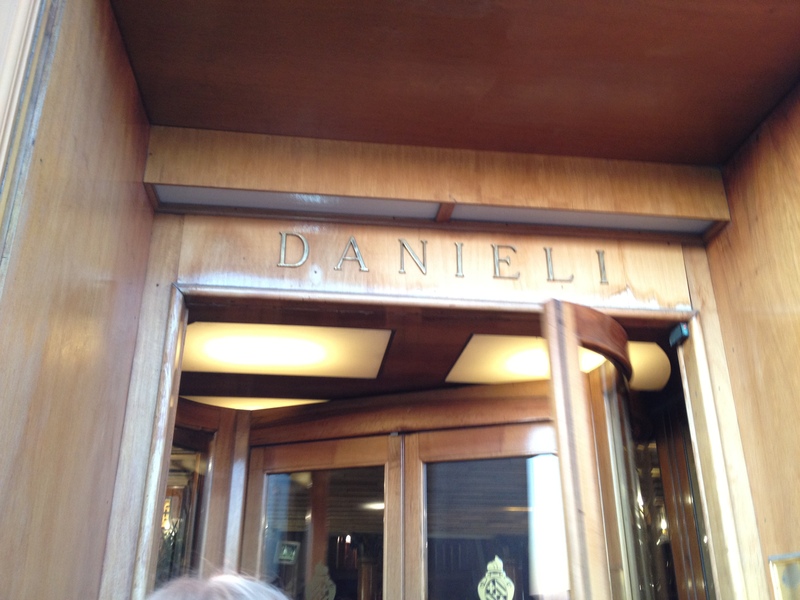 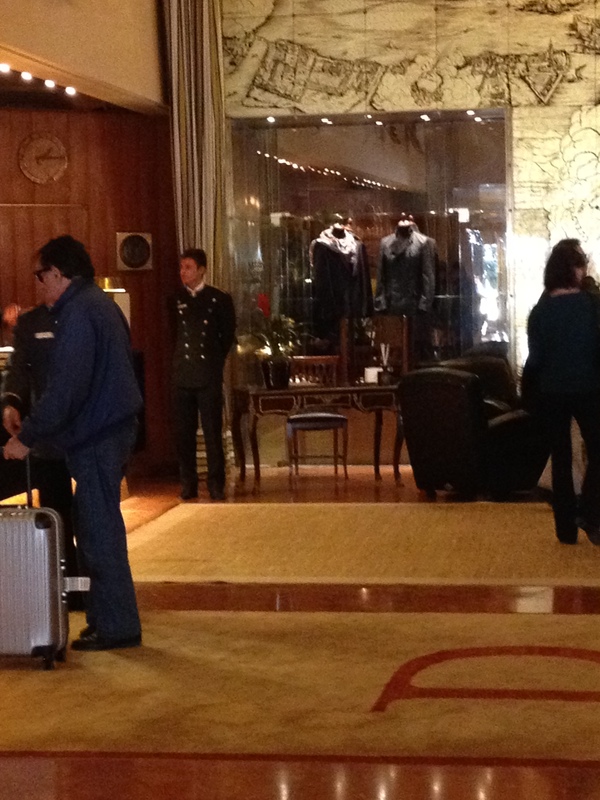 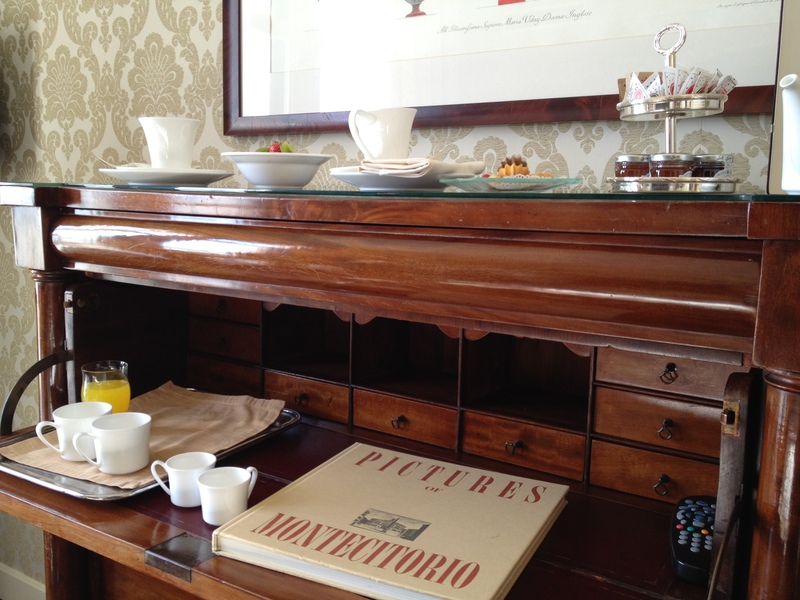 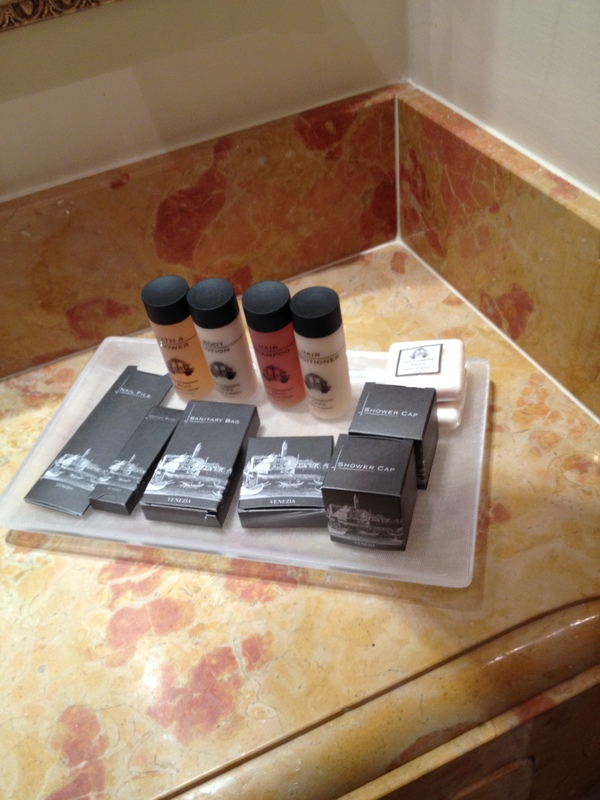 Danieli– One of the most well known hotels in Venice located right on the Grand Canal.